For humans, wrinkles are a sign of aging. Few of us relish our own wrinkles, but we sure delight in wrinkly dogs. 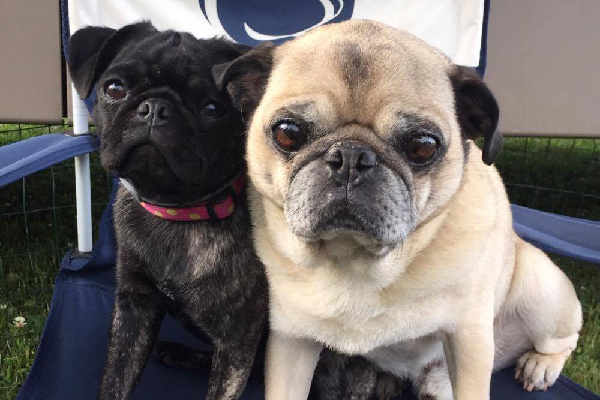 You’ll notice that many wrinkly dog breeds are short-faced (brachycephalic), too. Some may sport wrinkles as pups, while others mature into their big wrinkles. Let’s meet five wrinkly dog breeds that boast lovable, lifelong folds and furrows. Pugs are little dogs with lots of wrinkles. Photography courtesy Robyn Ginther. Our prominent eyes and child-like expressions make us crazy-delightful. We’ve been around to charm humankind for centuries. Chinese imperials have cherished us since ancient times, even employing guards to keep us safe. We were bred small to be carried in royal sleeves. Some of our wrinkles were considered more significant than others: the prince mark of three wrinkles on our forehead with a vertical bar (copying the Chinese character for prince) was a favorite trait. These days, all of our large and deep wrinkles are beloved by our owners. I suggest you dab my skin folds to keep them fresh and clean; I sure can’t reach them with my tongue! 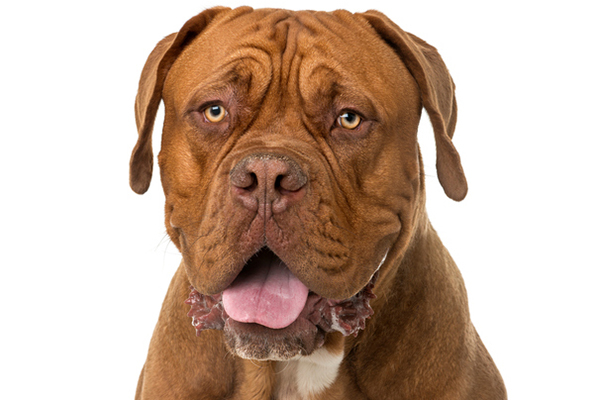 The Mastiff is a wrinkly dog breed. Photography courtesy Giselle Nevada. My lined forehead draws your gaze to my observant, kindhearted face. When I’m particularly attentive, my wrinkles are especially distinctive. I have a long history with humans; my forefathers worked with Babylonians, Marco Polo, Hannibal, King Henry VIII and Elizabeth I. Developed to guard and fight beside soldiers, I was bred tough and striking. I’m perhaps more easygoing than my ancestors these days, but I hold to my watchdog role. And at some 200 pounds, my size alone discourages intruders. I consider myself a peaceful and dignified bodyguard, always loyal to loved ones. And I’ll love your wrinkles too, when someday you’re blessed to own them! 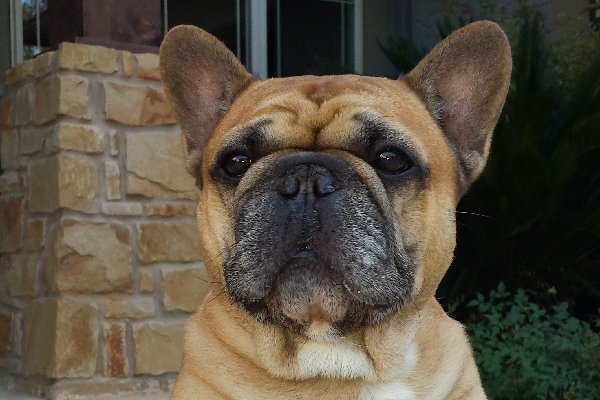 The French Bulldog is full of adorable wrinkles. Photography courtesy Gordon Deen. My coat is brilliant, short and smooth. My soft and loose skin is what creates my delightful wrinkles. And the description “delightful” suits my personality, too. Developed from English 19th-century bulldogs, my ancestors followed lace-makers migrating to France after the Industrial Revolution. Friendly and affable, we soon became popular with Parisians of all economic classes. American tourists in France were enchanted by my forefathers and brought some back to the states. 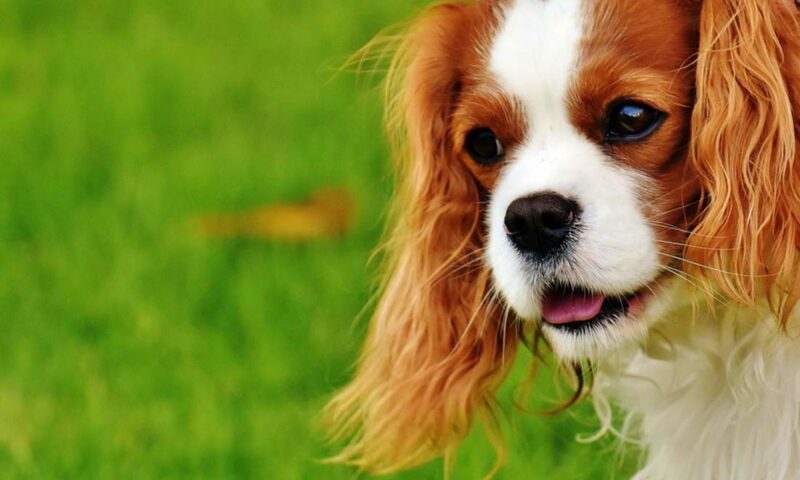 These days, with our laid-back personalities and keen social skills, we top the companion dog list. Come under my wrinkly spell; my furrowed brow shall charm you into dropping extra treats! 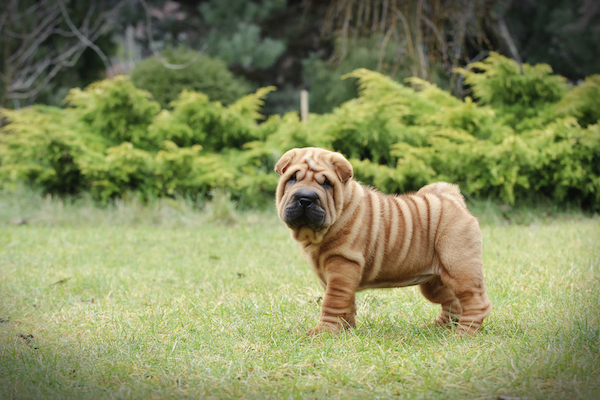 The Chinese Shar-Pei is another wrinkly dog breed. Photography courtesy Patricia Miller. If you don’t recognize me for my hippopotamus head shape, you may spot me for my impressive wrinkles — slack skin and creases cover my head, neck and withers. I’m one of the oldest dog breeds, developed in China for general farm work, hunting, and safeguarding property. My scowl allegedly frightened off evil spirits, but maybe deterred trespassers (in material form), too. These days, our wrinkles are attractive, albeit not especially functional. A clean breed, we don’t shed much; our grooming needs are minimal. Simply wipe our wrinkles down on occasion to keep our skin and coats healthy. The Dogue de Boredeaux is famous for his wrinkles. Photography by GlobalP/Thinkstock. 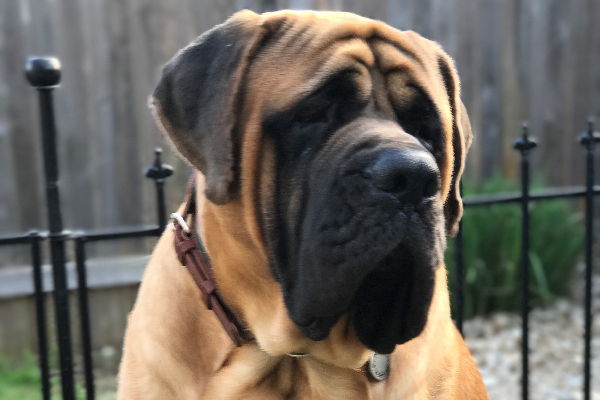 A French guardian célèbre, I trace my heritage to Mastiff-types developed to guard castles, hunt and fight. Everything about me is big: I have an enormous heart in my massive body. My colossal head is interlaced with wrinkles; my drooping cheeks accentuate my memorable appearance. The deep ropes of wrinkles on my head are obvious at all times, but they aren’t worrying frowns. At my size, what in the world could I be worried about? My striking appearance is just one of my attributes. I’m an affectionate, wonderful watch dog who’s more agile and speedy than my physique suggests. Tell us: Do you have a wrinkly dog? What breed(s) is he? What wrinkly dog breeds would you add to this list? Thumbnail: Photography by Waldemar Dabrowski / Shutterstock. 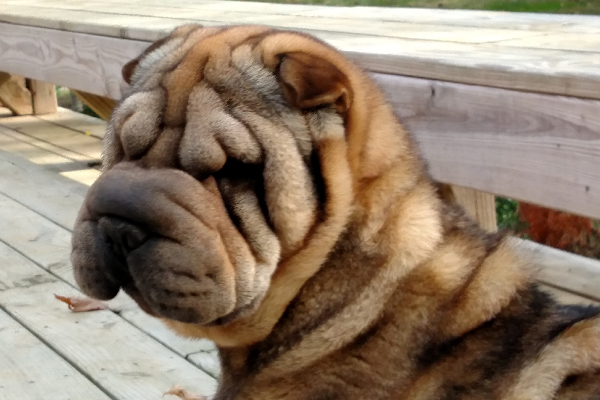 The post 5 Wrinkly Dog Breeds appeared first on Dogster. Previous PostPrevious What Should You Pack When Traveling With Your Cat?